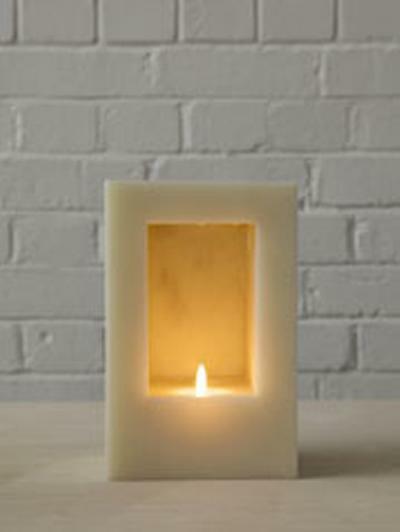 The University of Southampton is collaborating with Southampton Solent University to stage the lighting of a specially designed candle to mark Holocaust Memorial Day (HMD). The candle, created by Turner Prize winning artist Sir Anish Kapoor, is one of 70 which will be lit across the UK to mark the 70th anniversary of the liberation of the Auschwitz-Birkenau concentration camp during the Second World War. A ceremony will take place at Southampton Solent University Conference Centre, Above Bar Street in Southampton at 6pm on Tuesday 27 January. Holocaust survivor, Arieh Simonsohn – who was imprisoned by the Nazis during the war – will light the candle to begin a moment of reflection, honouring the survivors of the Holocaust and subsequent genocides. Mr Simonsohn will share some of his experiences of being held in the Warsaw Ghetto as a boy, before he escaped to join a group of Jewish Partisans. There will be a drama performance by Southampton Solent students and also a recital of commemorative music by local songwriter Helen Bonney, chosen from hundreds of applications sent to the Holocaust Memorial Day Trust – the charity responsible for marking HMD in the UK. Sir Anish Kapoor is best known for his sculpture work, including the ArcelorMittal Orbit, an observation tower built in the Olympic Park for London 2012, and Chicago’s mirrored, legume-shaped Cloud Gate, which is more commonly known as the Bean. He was awarded the Turner Prize from the Tate in 1991 and received a Knighthood in the 2013 Queen’s Birthday Honours for his services to visual arts. The Holocaust Memorial Day event is free and open to all. Special candles will also be lit at a national commemorative event in central London and at Auschwitz, as part of international commemorations. For more information about Holocaust Memorial Day and the events taking place visit www.hmd.org.uk or follow The Holocaust Memorial Day Trust on Twitter @hmd_UK #hmd2015.